I have a love/hate relationship with mugs. I don鈥檛 drink coffee, but I鈥檝e still somehow managed to amass a pretty extensive mug collection, which I鈥檓 oddly and irrationally fond of. I see them as a scrapbook of my life. There are the ones from my alma mater, mugs gifted by visiting friends, and then some souvenirs from travel. Yet I probably only actually use one every week or so. At this point, they鈥檙e taking away precious kitchen cabinet space from my much-more-used wine glasses, and that鈥檚 just beyond the pale. So, here鈥檚 what I鈥檓 thinking. If I don鈥檛 want to get rid of my collection (gasp, horror, outrage), then I need to find a more satisfying place to stick them. Here are some options. 1. Dangle them from hooks. When Melissa remodeled her kitchen, she added inexpensive cup hooks to the bottom of a shelf. Not only do the hooks free up cabinet space, they鈥檙e also a great way to display her thrifted tea cups. 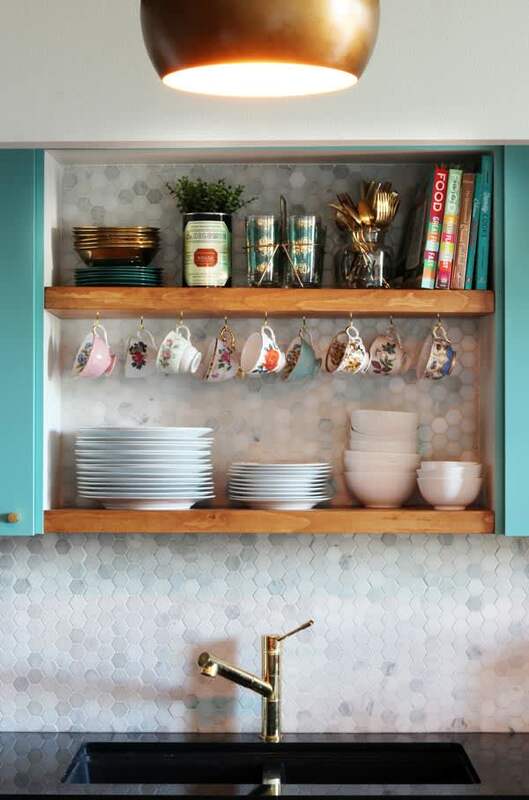 They add a nice splash of personality and color against the white backsplash tile. 2. Hang them from a wire grid. Here鈥檚 another low cost solution: Mount a wire grid over your sink. 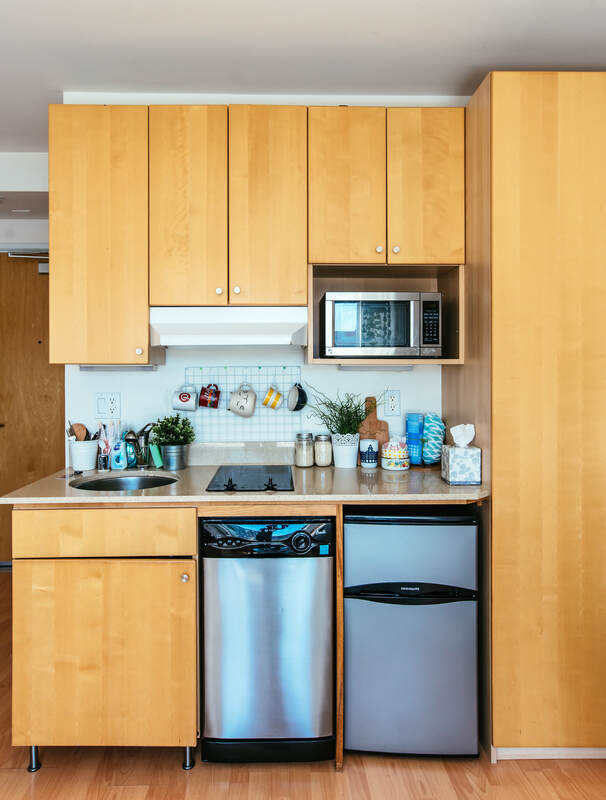 It鈥檚 a boon for tiny spaces like Cindy鈥檚 232-square-foot studio in San Francisco. 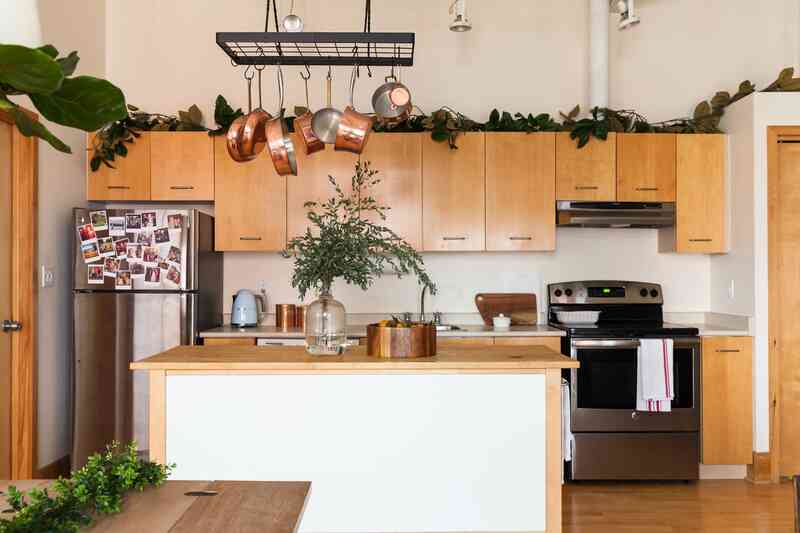 She bought her panel at a Daiso dollar store, but there are lots of affordable options on Amazon, which you can then amp up and customize with different accessories and hooks. 3. Line them up on a pot rail. 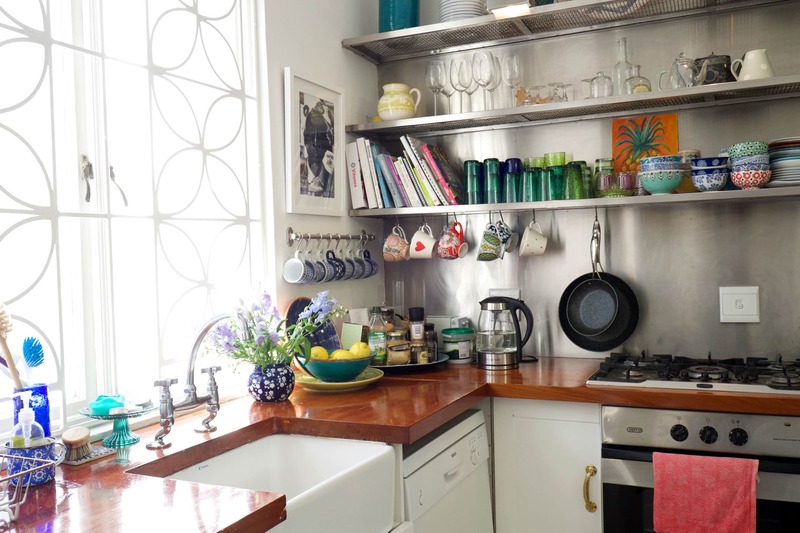 Abi extended the storage in her Capetown kitchen with a series of pot rails and S-hooks, which turn her walls and the bottom of her open shelving into extra space for her cute mugs. It鈥檚 a casual look that fits in nicely with her relaxed, Bohemian style.